What I love most about our yarn-crafting community is how so many people want to get involved and give back with their knitting/crocheting, and also how many opportunities there are to do that. And if they can’t find opportunities to give back, they make new ways and invite other knitters/crocheters to join them. I’m going to highlight just a few—if you want more comprehensive lists, check out these posts from LoveKnitting, Originally Lovely, and Martha Stewart—and I’ll also give some ideas for things you might try if you want to keep your donations local. This is the charity I’ve been working with most recently. (And I should state here that I’m not affiliated with Warm Up America or any of these charities, and I’m not a member of a chapter anywhere. But I appreciate what they do, and I knit/crochet to donate, and I try to point other crafters to places to donate as well.) The great thing about Warm Up America is that you knit/crochet blocks and send them in to be sewn together with blocks from other crafters, so there’s no pressure if you don’t feel up to making a whole blanket. They also accept other things too—you can check out their website here. You can also check out my page about the blocks I’m doing for my Warm Up America afghan here. 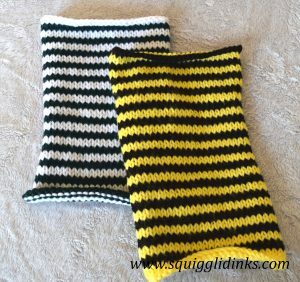 Project Linus provides new, handmade blankets to children in need through hospitals, shelters, social service agencies, etc., to provide a sense of security and comfort. For details and how to get involved, visit their website. After a mastectomy or another procedure to the breast, traditional prosthetics are expensive and uncomfortable, and require special bras. Knitted Knockers are soft, hand-knit breast prosthetics made by volunteers and given for free to whoever needs them. They fit into a normal bra and can be adjusted for size by adding or removing stuffing. For more information, visit their site here. If you want to crochet for babies but you’re tired of making hats, consider crocheting an octopus for a premature baby. The tentacles mimic the feel of the umbilical cord and comfort the baby, keeping them from pulling on the tubes and wires that, if disconnected, could cause them serious harm. When my friend had her daughter prematurely a couple of years ago, I made an octopus for her. 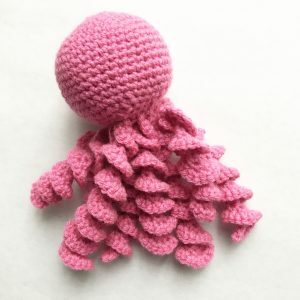 I didn’t go through the Octopus for a Preemie charity—I used this pattern from We Are Knitters and I gave the toy to her directly. Seeing the roller coaster of worry that they went through, though, I really appreciate what this charity does to make that road easier on these families. For a pattern and requirements (there are certain colors and yarns that are ok and some that are not), visit the website here. (Most of it’s handled through their FaceBook group, with links from the website). Want to keep your donations close to home? Many of the above organizations have local chapters—check their websites to find one in your area. If you’re having trouble finding one, here are a few other ideas you might try. Another option would be to contact your local children/youth services office. They deal regularly with children in need, and may be able to use hats/scarves/mittens, blankets, baby blankets, etc. 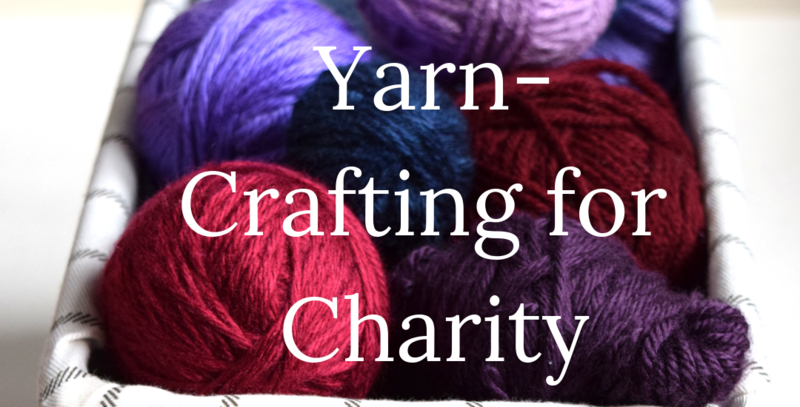 Your local church or religious establishment, or even your local library, may also have a yarn-crafting charity associated with it. My local library has a knitting group that meets twice a month, and they accept knitted hat donations. They give them away in the winter to anyone who needs one. Your local schools might also collect hats for kids who come to school without them. If these ideas spark your interest, try them! If the local options aren’t already in place for you, be the one to start them. It only takes one person. Want to knit hats to donate but don’t know what pattern to use? Click here for a free copy of my most versatile hat pattern–it works with any needles, any yarn, and any size!